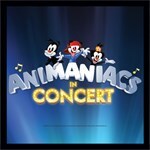 Friday, May 17, 2019: ANIMANIACS in Concert! ANIMANIACS LIVE! In Concert! Emmy-winners Randy Rogel and Rob Paulsen perform songs from the hit show. Laugh all of the way out the door with its ZANY-ANIMANY-INSANY-FUN! Bring the entire family! your contribution is instrumental to our success!